Conforme à la photo et à la description ! Ces chaussures sont belles et très confortables ! Conforme à la photo et à la description ! 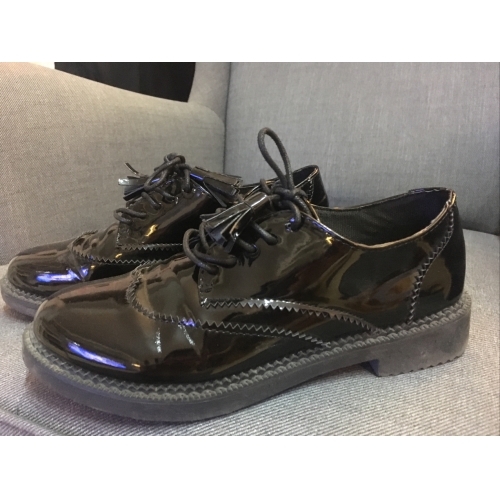 Ces chaussures sont belles et très confortables ! Delivery took longer than expected. My Daughter loved this pair of shoes, she was pleasantly surprised when knew how good the price was. Thanks for your services.. Hope to do more business in future.. Delivery took longer than expected. My Daughter loved this pair of shoes, she was pleasantly surprised when knew how good the price was. Thanks for your services.. Hope to do more business in future..
Love the shoes - super cute, will be versatile. Love the shoes - super cute, will be versatile.